Every space has a unique spirit. 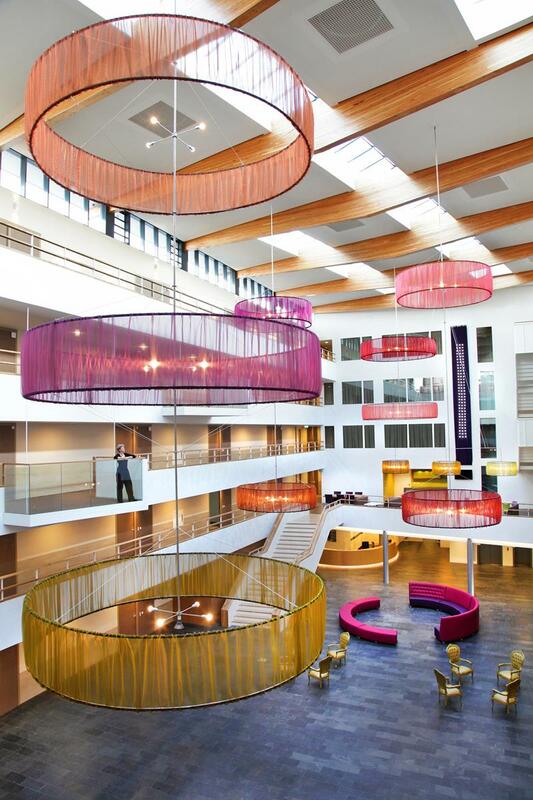 The nursing home Frittemahof in Sneek needed a visual addition with lighting to fill the enormous atrium and bring a balance to the stern rectangular lines of the architecture. Louise’s enormous circular lampshades fulfilled the brief. The transparency, softness and colours of the fabric draped around the lampshades, which are suspended at different levels in the atrium, complement the architecture and brings a feeling of intimacy to the space. You have given a beautiful gift to the Frittemahof that will illuminate us for years! Thank you. My compliments for Louise. The chosen materials are brillant and she has worked out everything down to the last detail.